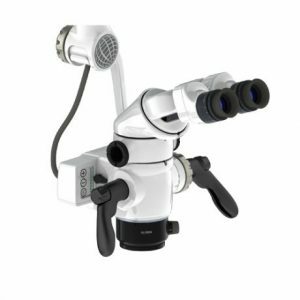 The OM-100 Microscope series has been designed to cover a wide range of medical disciplines such as ENT, Plastic, Trauma, Neurological and Ophthalmology surgery. This modular series, accepts beam splitters and video cameras. Digital image management is made easy through the Endodigi software package for image administration and storage, with the medical record. These modules are easily installed. 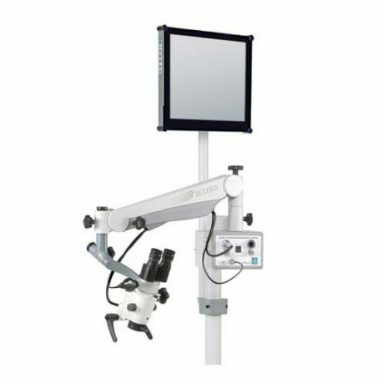 With superior optical quality, the OM-100 series offer high optical resolution, accuracy and focal range. All Microscopes include 5 magnification steps (x6, x10, x16, x25 and x40). 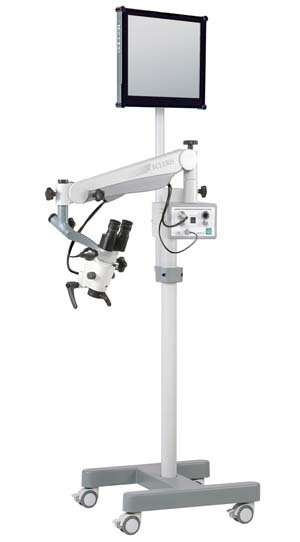 The OM-100 W can also be wall or ceiling mounted with a mobile arm for greater movement. The OM-100 F has a modern designed base and column which provides easy mobility and a greater level of comfort for the physician, without committing its stability. 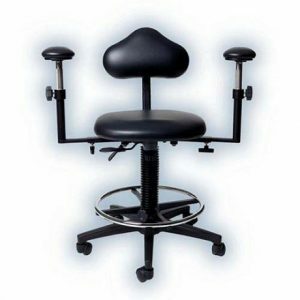 The new WBS (Weight Balance System) provides smooth positioning and firm movements. 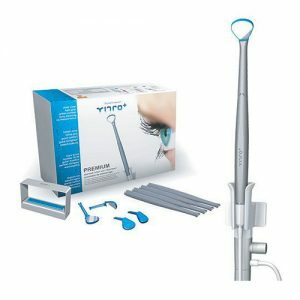 Three illumination options are available. 1. A basic entry level Dual 150 W Halogen light source with a 7mm fiberoptic cable, and an adjustable mechanical diaphragm for providing continuous light intensity control, maintaining always the whiteness in the light color. 2. A more advanced 180 watts Xenon light source with true white light and an adjustable mechanical diaphragm for providing continuous light intensity control. 3. Newly released LED Light Source with 50,000 hours of continuous operation between bulbs ! The system also comes with a 7mm fiberoptic cable, and an adjustable mechanical diaphragm for providing continuous light intensity control. 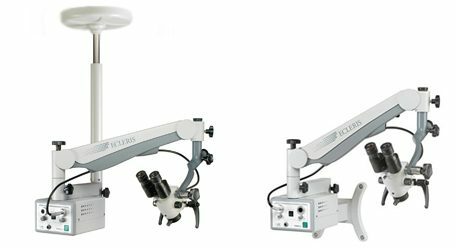 With the addition the C mount converter and endocoupler, the light source and the videocamera from the microscope can be used to perform endoscopic procedures, thereby avoiding the need of having a second endoscopic video system in the office. 200, 250, 300 and 400mm Objectives available. 4, 6, 10, 16, and 25x, standard magnifications. Wide angle ocular Q = 25mm. Illuminated field from 75 to 145 mm. Video Camera Procam (integrated connection into light source). C-mount converter to endocoupler for using the videocamera with endoscopes. Endodigi Software, patient record, and imaging management software with full image digitalization capability. Illuminated Control Manual mechanical diaphragm with continuous adjustment. Constant light color.